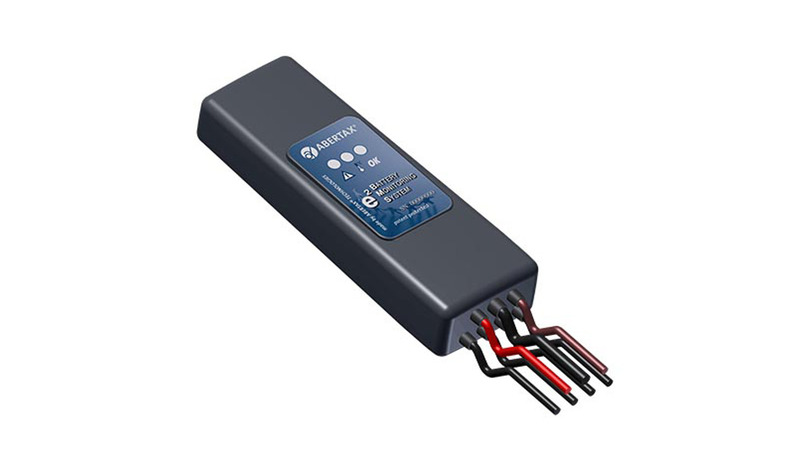 The ABERTAX® e2BMS is our flagship Battery Management device with multiple usage options (e2), equipped with state of the art wireless transmission and includes our patented battery analysis. The e2BMS will collect and process data off your battery, allowing you to monitor and control the way they are being used, and therefore increase their service life to give maximum return on investment. The device will monitor the pack (full) voltage, the half voltage, ambient and battery temperatures, liquid level and, optionally, current. Intelligent algorithms then work out the State of Charge (SOC), estimated remaining cycles based on current and accumulated events. The e2BMS will also monitor the number of charge and discharge cycles as well as the temperature, low acid level and deep discharge events and duration. The data stored on the device may be comfortably retrieved via the wireless link to be processed by our proprietary software or automatically directed to locally-hosted or cloud based storage for simple retrieval via a powerful web based interface with advanced reporting capabilities. An optional GSM modem upgrade is perfect for installation in remote locations with little or restricted internet access. On-site, the state of the battery is also signalled via three LEDs on the device. This ensures that any alarm condition is immediately visible. Temperature alerts, voltage imbalance and liquid level, in particular are signalled via these LEDs. The sensor is designed to operate up to a maximum nominal battery voltage of 80V. Multi-stage electronic protection ensures safe and reliable operation under over-voltage, over-current and reverse polarity conditions. All inputs are individually protected, and are designed to recover immediately and resume operation once the fault is removed. Furthermore, additional fuses protect against extreme conditions.